to All of you on this auspicious day of Saraswati Puja !! Today is considered very auspicious & is celebrated on the 9th day of the Navrathri. 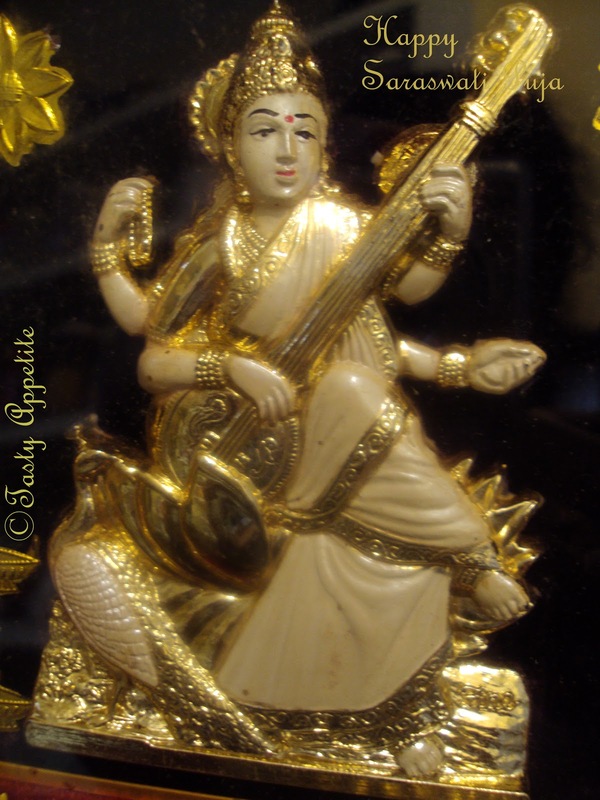 Saraswati is the Goddess of Learning, music and all the creative arts. If we have the right learning, wealth follows wherever we go ! This is the day, our little kids starts writing the first letter of word. ( first experience of Reading n Writing ) . 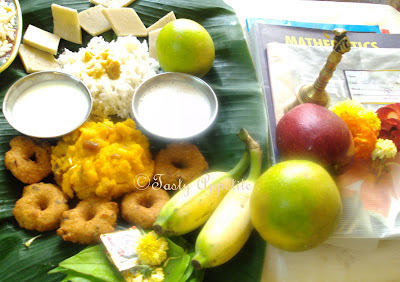 The grown up kids, keep their books in the puja, and get the blessings from Goddess. Also, this day is celebrated as Ayudha Puja. In this special day, all the workers worship their tools & machines, after cleaning, painting and polishing them. 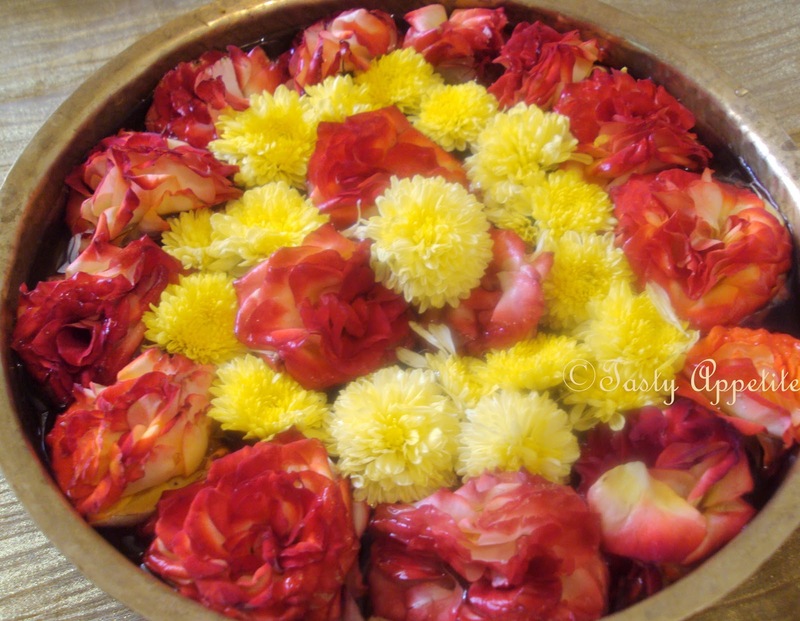 Today, we had a small saraswati puja at home as in the below pictures. 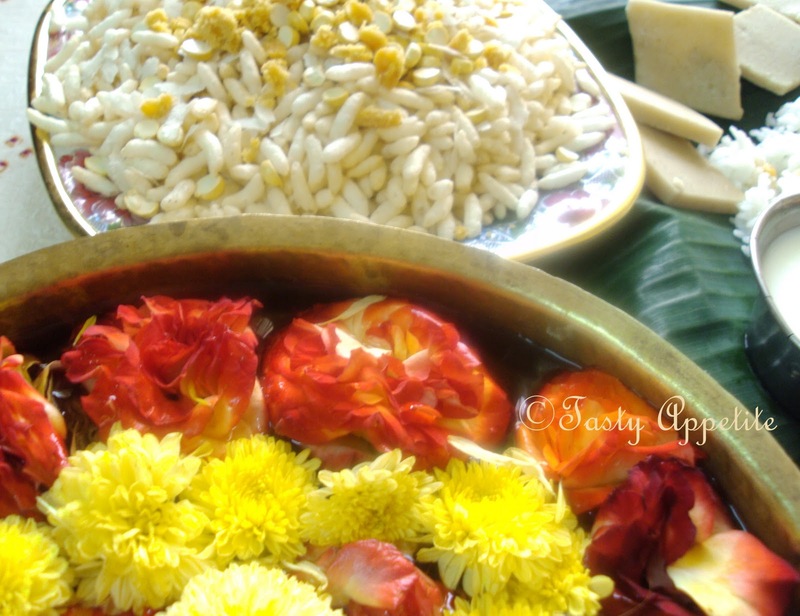 For Neyvedhyam, we prepared medhu vada, rawa kesari & cashew sweet, ven pongal , badam payasam and offered the same as neivedhyam to Goddess. 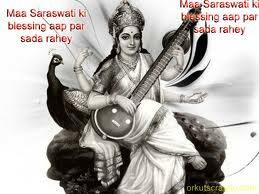 Wishing you all a very Happy Learning & Happy Saraswati Puja..!! 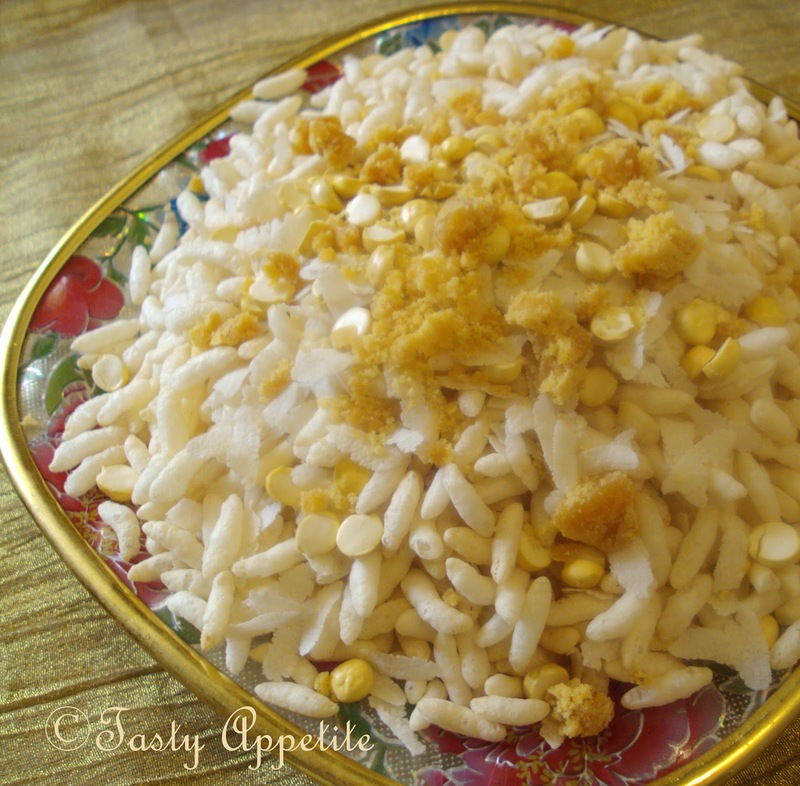 Yes, you can check out the recipe of Rava Kesari here..! Happy Saraswathi Puja Jay !!!!!! lovely clicks.. wishing you a happy pooja.. Happy Saraswati Puja to you too, Jay! Happy Saraswathi pooja!! looks delicious n divine!! Happy saraswati pooja and dusherra to you n your loved ones!! 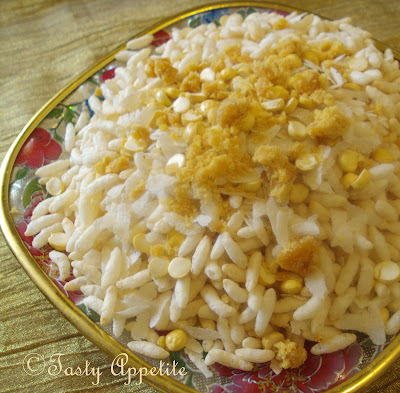 Happy saraswathi poja jay.After seeing ur photos i felt the complete satisfaction of making a poja on my own. Happy Puja Jay. The flower decorations and the neyvedhyam look beautiful. same to you Jay, that a amazing variety of food to coincide with the week long religious festival. Lovely post and hearty wishes to you and your family! Great pictures dear,Happy Saraswathi Pooja to you and family.. Happy Saraswathi Puja and Vijayadasami. Wishing you a very happy Puja . This is such a beautiful spread . I am tempted to make everything I see here. Thanks for sharing. 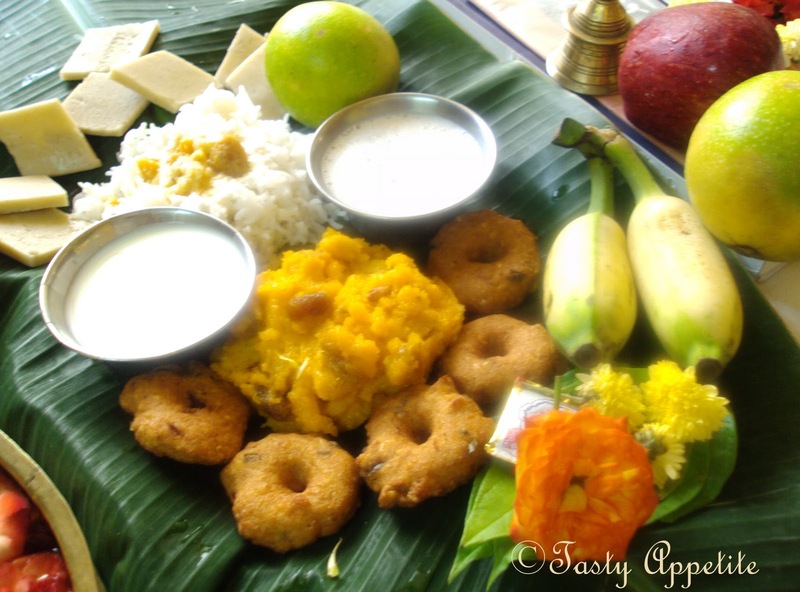 Happy ayudha pooja and Dasara wishes Jay,wonderful spread. Happy Navarathri to you to dear.. Happy Navrathri to you and family as well Jay ! Heart filling spread there.Thanks dear. Happy Saraswathi Pooja to u n ur family dear..the neivedyams looks great, nice clicks..
Din cate inteleg ati sarbatorit o zeita protectoare!Un ritual frumos! Thankyou for visiting my space. 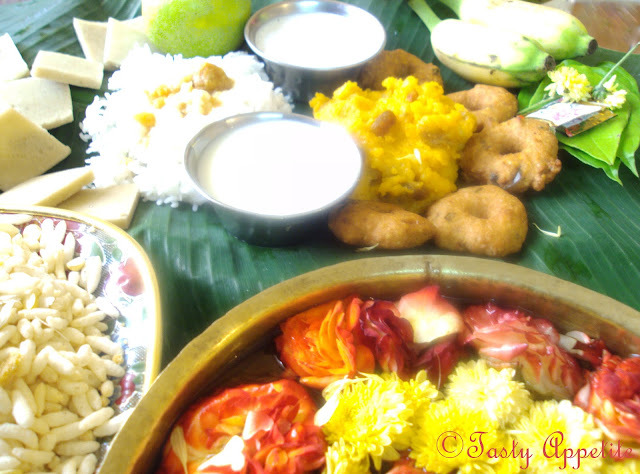 Happy Sarawati & Ayutha pooja wishes..Very well presented.. Happy Saraswathi Puja Jay, lovely neivedanams. Looks divine. happy saraswati pooja! !may god bring happiness and success to you !! Happy Dussehara!! Wow what a lovely spread even the Gods sure are happy. Beautiful decorations and neivedyams. Many Many good wishes to you too !!! Thanks for making us a part of this happy puja day by sharing the pictures and the offerings you made to the God & Goddesses:) I noticed the mathematics book under the bell-That was so meaningful and significant too ! What a collection of beautiful colors and aromas!